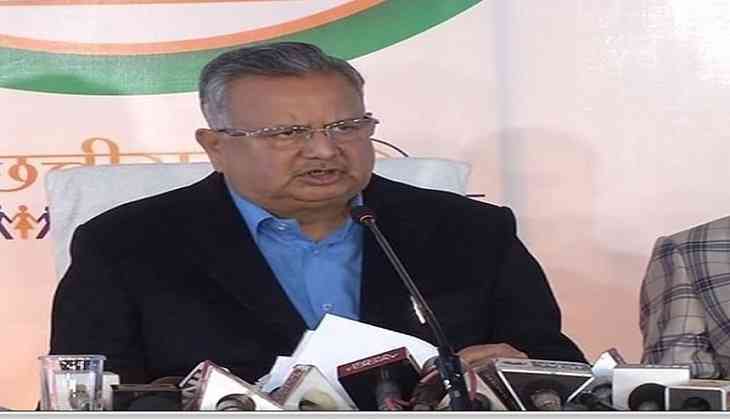 Chhattisgarh Chief Minister Raman Singh hit out at the Congress for raising a question over the development work in the state and dared party president Rahul Gandhi to do half of it in his parliamentary constituency, Uttar Pradesh's Amethi. Singh also recounted the development projects completed by the party and accused the Congress of just opposing the state government without any reason. "The Congress is saying that no development has happened in Chhattisgarh. There are concrete roads in the rural areas. What more they want? They just want to oppose. I want to tell Rahul Gandhi, if you can do half of this development in Amethi, I will be happy with it," Singh said while addressing a public rally during his 'Vikas Yatra' here. Last month, the Congress president launched his election campaign for Chhattisgarh, and held road shows and bike rallies. Addressing a rally, Rahul cornered Raman Singh government and said, "The government claims that it works on the road. 32 people were killed (by the Maoists) on the road. Where was the government? The senior most leader in the Opposition was murdered, where was the government? When they can't protect political leaders, how can they protect adivasis and common people? How can such a government work for your progress?" The assembly elections in Chhattisgarh is likely to take place later this year.